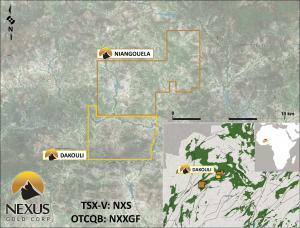 VANCOUVER, BC, CANADA, November 9, 2018 /EINPresswire.com/ -- Vancouver, Canada – November 9, 2018 - Nexus Gold Corp. (“Nexus” or the “Company”) (TSX-V: NXS, OTCQB: NXXGF, FSE: N6E) is pleased to report that its wholly owned subsidiary, Nexus Gold Corp. Burkina SARL, has acquired the Dakouli 2 gold concession, a 198-square kilometer gold exploration permit located in central Burkina Faso, approximately 100 kilometers due north of the capital city Ouagadougou. 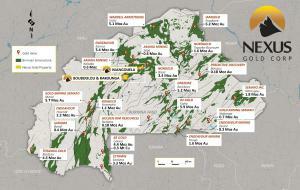 Niangouela - The Niangouela gold concession is a 178-square km project featuring high-grade gold occurring in and around a primary quartz vein and associated shear zone approximately one km in length. 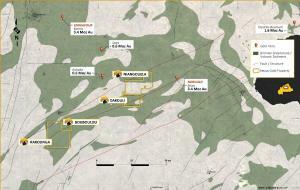 The Dakouli 2 project is 198-sq km concession adjacent to Niangouela’s southern border.